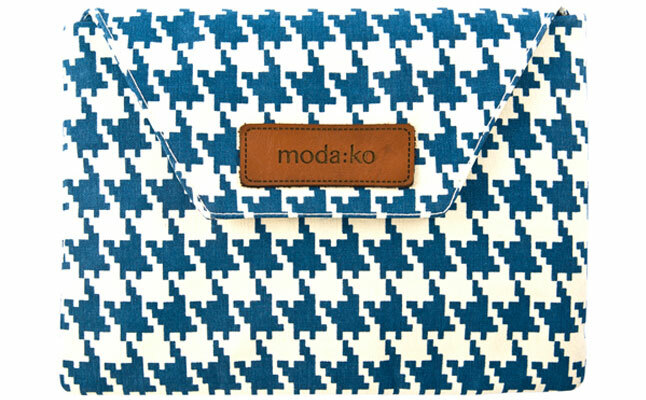 Houndstooth from moda:ko is an attractive envelope tablet cases designed to fit the iPad Mini. 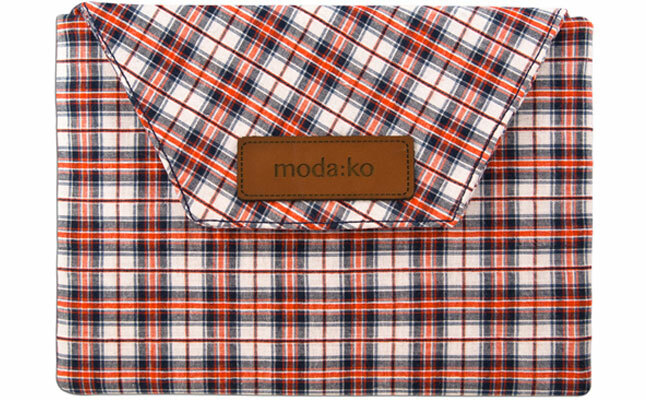 The case is made from top-notch cotton canvas twill fabric , which delivers great looks and durable protection, which is further enhanced by an extra layer of interior padding. 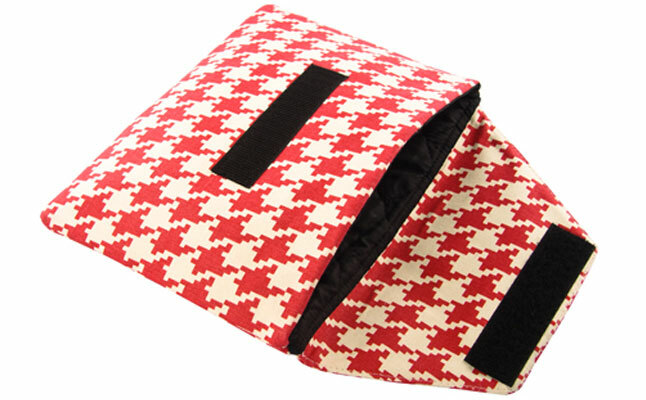 The quilted padded lining on the inside of the Apple iPad Mini case ensures the device stays scratch and smudge free. 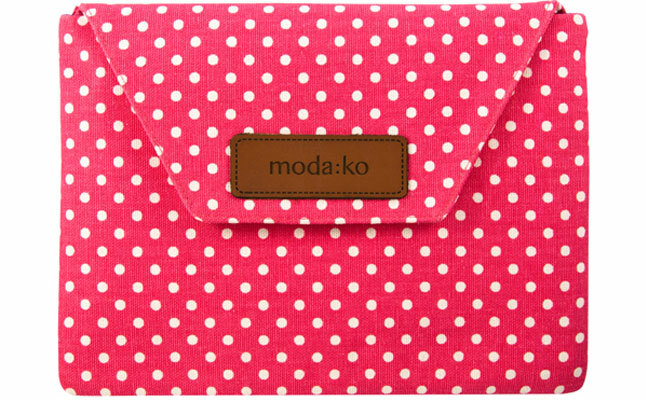 The case’s tab closure features a small Velcro lock , which secures the tablet inside the case keeping the contents within at all times. The perfect size fit is ensured by hand-cutting and sewing to precisely taken measurements. A small leather designer logo is sewn onto the flap closure. 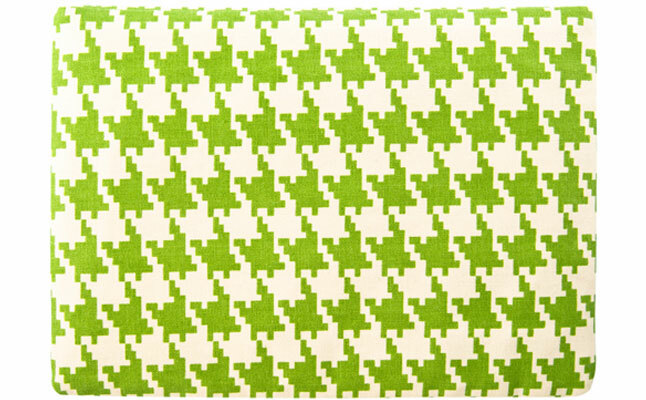 The moda:ko Houndstooth is available in a number of attractive colors and designs including the Polka Dot, Madras, Seersucker and Check. On top of the iPad Mini size, the case also comes in iPhone, MacBook, and 10’’ iPad sizes. The case can be yours for $45.